We install uPVC casement windows across Dunfermline, Edinburgh, Stirling, Perth, Dundee, Fife, Glasgow, Rosyth and surrounding areas. uPVC casement windows make an attractive addition to any home – make sure yours are installed by a reputable company by choosing SRJ Windows. We’ll be able to offer you an unrivalled degree of professionalism, reliability, promptness and respect for your home. Our family-run business offers expertise across our full casement windows range, so you can rest assured that you’ll be able to get the perfect fit. We pride ourselves on offering more to our customers, so you can be confident of a friendly and reliable service every time. Excelling in function and form, our casement windows allow you to bring something to your home that is sure to make you feel safer and more comfortable throughout the year. Effortlessly customisable and installed by experts, you can be sure that you’re getting the best. All of the uPVC casement windows that we offer utilise market-leading designs, bringing unrivalled standards of thermal efficiency, security, durability and performance. No matter your tastes or needs, these windows are sure to suit. uPVC casement windows are a versatile option, that can be styled in a range of frames. This makes them suitable for modern homes and window refurbishments. As a design that can be fitted to open outwards, casement windows provide outstanding ventilation and light into your home. They are sure to enhance any room that they are installed in. Due to their classic look, uPVC casement windows can be tailored to suit a wide range of property styles. This means that properties new and old will be enhanced with our window design, which undergoes a stringent hand-finishing process to ensure the highest standards of quality are achieved with a beautiful design. We only offer you the best. All of our casement windows ‘A’-rated as standard, with the latest technology in glazing and framing to keep your home warm. This includes a market-leading 5-chambered profile that works to trap in pockets of warm air, outclassing the standard 3-chambered designs that are on the current market. With SRJ Windows, you’ll be able to enjoy the best. All of our casement windows offer an impressive degree of security for your home, giving you the peace of mind that comes with a better design. This includes the use of premium grade materials, which guarantee a higher degree of structural integrity, as well as a full depth, central eurogroove to help make the window build more secure. Our casement windows are available in a choice of 40 rich, eye-catching colours to suit your tastes. You can also opt for a range of woodgrain foils that enable you to bring a timber look to your home, without having to worry about any of the maintenance problems that are associated with the material. You’ll be able to enjoy the freedom to capture the perfect bespoke feel. To keep you comfortable throughout the year, our casement windows are fitted with low line gaskets and weatherseals. This addition allows our windows to prevent draughts and water ingress without compromising on the style of the design. You’ll be able to keep adverse weather at bay whilst maintaining slim sightlines for a stylish addition to your home. As a modern alternative to their timber counterparts, our casement windows require very little maintenance in order to look and perform their best. This means that they won’t rot, warp, crack or bow out of shape over time. You’ll never have to cut, repaint, sand or varnish these windows to enjoy the standard that they should deliver. We’ll be able to offer you a standard of quality that brings home comfort without the headaches. To ensure our windows hold steadfast against attempted entry, they feature steel reinforcement where needed. This works to add additional structural strength to the window frame, combining with a single leg glazing bead and high security locking systems for consistent security. You won’t have to worry about any weak spots, which can be easily exploited by any would-be intruders who are trying to gain entrance into your home. 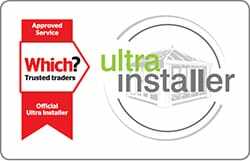 At SRJ Windows, we pride ourselves on offering a standard of installation that ticks all of the boxes. Our teams are assessed for their product competency and always work to the highest degree of professionalism, reliability, promptness and respect for your home. 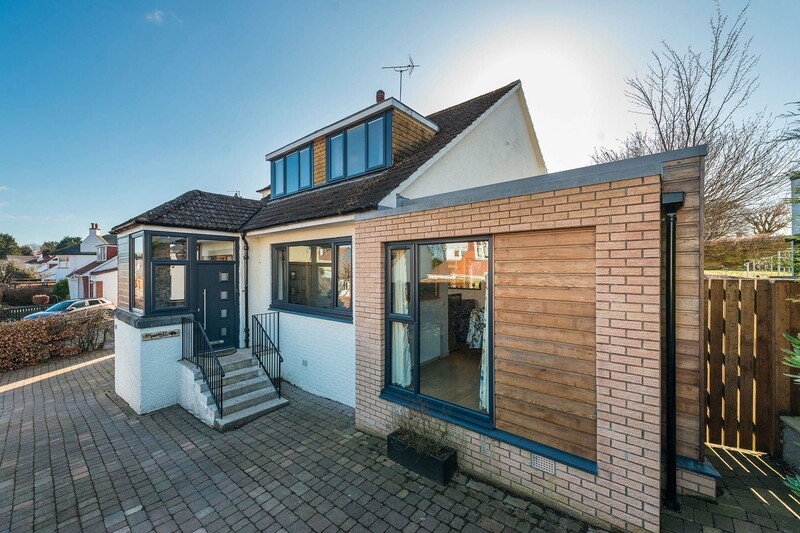 You’ll be able to enjoy market-leading home improvements sooner and to a higher standard. Although prompt in our installation, we never lower the quality that we offer. Visit our online quoting engine today to get a free, bespoke quote that is based on your exact specifications. Alternatively, you can get in touch with us via our online contact form should you have any questions regarding our windows, prices or any of our other products. Alternatively, you can come and visit us at our Fife showroom where a member of our friendly team will be on hand to show our casement windows in full. Our online quoting engine is a modern way for you to get a free, instant and competitive price for your home improvement of choice. All you will need to do is follow the simple step by step process to get a cost that has been tailored to your exact specifications. Better over the phone? Why not give us a call on 01383 851 951? We pride ourselves on our customer service, which has been refined over the years to help you get what you’re after sooner and easier. We look forward to hearing from you.